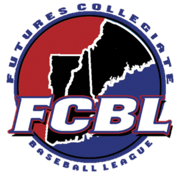 Chelmsford, MA – The Futures League has announced that Christopher Hall is stepping aside as Commissioner of the league effective December 31, 2018 to pursue other opportunities. Hall was a founding member of the Futures League and its first Commissioner dating back to the league’s inception in 2011. “After 8 years at the helm of the Futures League, now is the right time for me to step aside as Commissioner. I am so proud of the league that we founded and rapidly built into one of the greatest summer collegiate leagues in the entire country,” said Hall. “The impact that the Futures League has made under Chris’s leadership in such a short time – not only in the baseball world, but also in our teams’ host communities – is truly special and remarkable,” Creedon said. “As we conduct and complete the search for our next Commissioner, that person will certainly be standing on the shoulders of a giant. And I’m happy to state that Chris Hall will continue to be an important voice for us in a new capacity starting in 2019 as an advisor while he also explores new expansion franchise opportunities for the League,” said Creedon.